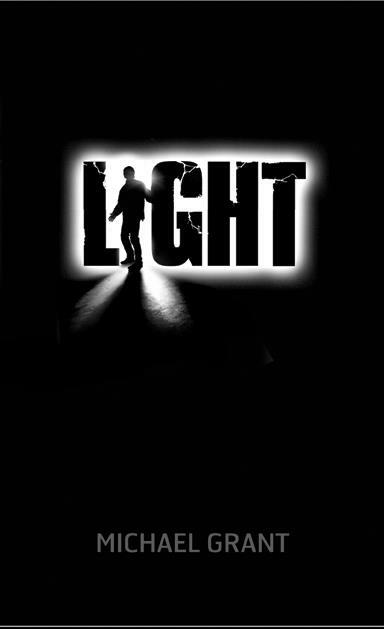 To celebrate the publication of LIGHT, the sixth and final book in Michael Grant’s bestselling GONE series, Egmont Press has created an online game, Gone Online, based on the books. It launches today, Monday 11 March. GONE was the first instalment in the epic teen series which has become hugely popular with teenagers internationally and has been lauded by Stephen King as ‘exciting, high-tension … told in a driving, torrential narrative that never lets up.’ Over 400,000 copies of the books have now been sold in the UK alone. Gone Online can be played at www.gone-online.com over a six week period. It draws on content from all five of the books so far and leads up to the much-anticipated publication of LIGHT, on 28 March. Starting with four games at launch - Zeke Zap, Word Search, Hacker and a GONE quiz - there will be further games and challenges released on a weekly basis until the winner is announced. The object of the game is to score as many points as possible. Highly addictive, the games are designed to challenge, infuriate and test your skills, and to get you completely hooked. Some of the games will reward time and speed, others ability and knowledge of the books. Using the latest in location-based marketing, players can pick up extra points by checking in with their smart phones at specific locations – bookshops or libraries. The winner of the game - the highest scorer at the end of the six weeks - will win an Apple iPad and the chance to meet Michael Grant in a private capsule on the EDF Energy London Eye on 4 May. Participation will also be rewarded with prizes along the way, including signed editions and book tokens as well as never-before-seen content such as extra chapters and video messages from the author. Gone Online is hosted on a dedicated website and can also be played on smart phones. Players of any age can take part and you don’t have to be a fan of the books, but it will certainly help. After the initial six week competition, fans of Gone Online can continue to play, though no prizes will be available. The six books in the series, published by Egmont Press, are GONE (2008), HUNGER (2009), LIES (2010), PLAGUE (2011), FEAR (2012) and LIGHT (28 March 2013). The story starts when everyone over the age of 15 disappears in the blink of an eye, leaving hundreds of children trapped in a Californian town encased by a mysterious, impenetrable dome. Inside, it is a matter of survival. With no adults there are no rules and somehow the physics of the universe as we know it have changed, causing some of the children to develop strange powers. Michael Grant has always been fast-paced. He’s lived in almost 50 different homes in 14 US states, and moved in with his wife, Katherine Applegate, after knowing her for less than 24 hours. His long list of previous occupations includes: law librarian, cartoonist, bowling alley mechanic, restaurant reviewer, waiter, documentary film producer and political media consultant. Michael and Katherine have co-authored more than 150 books, including the massive hit series Animorphs, which has sold more than 35 million copies. Working solo, Michael is the author of the internationally bestselling series GONE and the ground-breaking transmedia trilogy BZRK. Michael, Katherine and their two children live in the San Francisco Bay Area, not far from Silicon Valley.